Bruno Mars is a Grammy Award winning singer and is one of the top recording artists today, and he wears a yellow gold Rolex Day-Date as seen in the photo below. 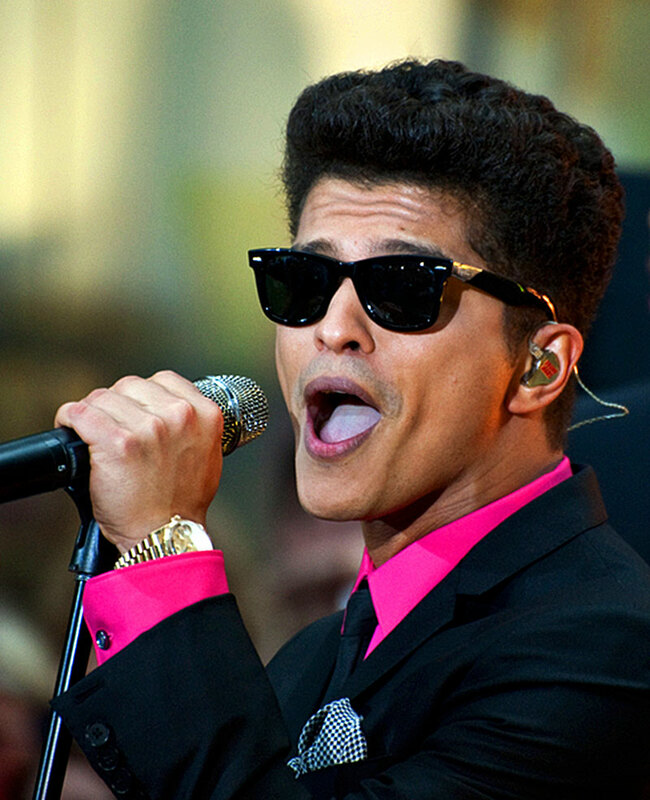 In the photo below, we see Bruno Mars wearing a two-tone Rolex Datejust. Below we see Bruno Mars perform his megahit song named, "When I Was Your Man", which to date has had close to a HALF BILLION Views on YouTube!!!!!!! So you think a quarter of a billion views is impressive this next song by Bruno Mars named "Just The Way You Are" has is quickly closing in on a Billion Views on YouTube!! !